The best time to book cheap Hanoi - Dalat flights is in dry season. Passengers can take flights to Dalat with Vietnam Airlines, Vietjet and Jetstar. 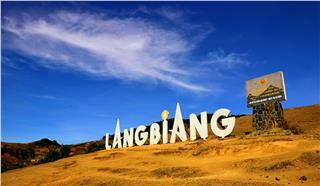 In Dalat travel, tourists will have chance to explore many interesting things about the city of love. In two periods from now to June 30, 2015, and from September 1 to November 20, 2015, there is a China Airlines promotion for flight upgrades. 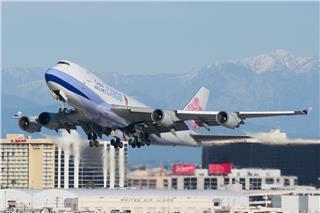 With the promotion, passengers as Dynasty Flyer Program will of China Airlines will receive more incentives. 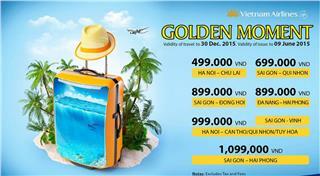 From now to June 9, 2015, Vietnam Airlines implements the promotion on cheap tickets for Golden Moment 4. 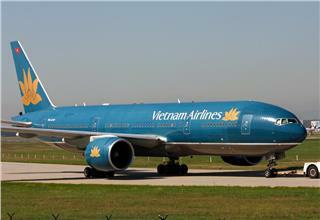 Tickets will be sold in routes departing from Hanoi and Ho Chi Minh City. Siem Reap is one of the most popular destinations in South East Asia with outstanding achitectural Angkor Wat and a series of unique temples. 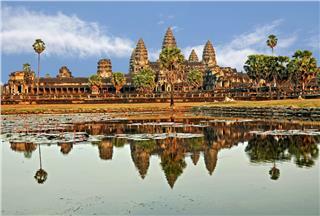 Annually, the city welcomes a large number of international tourists in flights from Vietnam to Siem Reap. From June 1, 2015, new changes of Vietnam Airlines Golden Lotus Plus Program will take effect. Passengers as Vietnam Airlines GLP members will receive more benefits and incentives from Golden Lotus Plus and SkyTeam. Enjoying summer promotions in Hoi An will become easier when traveling with cheap flights to Hoi An of Vietnam Airrlines, Vietjet, and Jetstar Pacific. 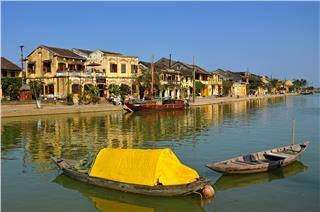 To approach Hoi An, tourists can book flights to Da Nang, or flights to Tam Ky - Quang Nam. 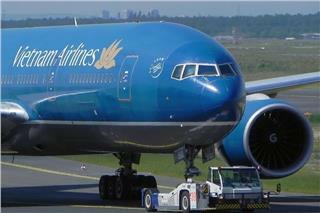 To check-in at the airport and get on plane, passengers must have Vietnam Airlines tickets. The ticket is the contract between the airline and passenger. To book and travel with VNA, passengers need to pay attention to the following things. 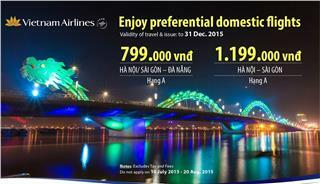 From now to December 31, 2015, Vietnam Airlines domestic promotion is applied to Hanoi - Da Nang flights, Saigon - Da Nang flights, and Hanoi - Saigon flights with attractive airfares and high-quality services.